Are we holy? That’s the question. 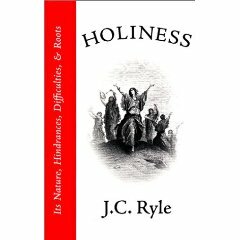 J. C. Ryle calls it the most seasonable and profitable question anyone can ask of himself. I ask to be heard today about this question. How stands the account between our souls and God? In this hurrying, bustling world, let us stand still for a few minutes and consider the matter of holiness. I believe I might have choseen a subject more popular and pleasant. I am sure I might have found one more easy to handle. But I feel deeply I could not have chosen one more seasonable and more profitable to our souls. It is a solemn thing to hear the Word of God saying, “Without holiness no man shall see the Lord” (Heb. 12:14). A solemn thing indeed. Stand still for a time today and ask yourself this most seasonable and profitable question. Are you holy? What do you hear God say in response? Remember the gospel and do what He requires. « Seek & You Shall NOT Find?